Ello is getting its 15 minutes of social media fame: More than a million people are still clamoring to join the invite-only, ad-free social network. However, CIO.com's Matt Kapko explains why you can't take it seriously as a Facebook alternative. 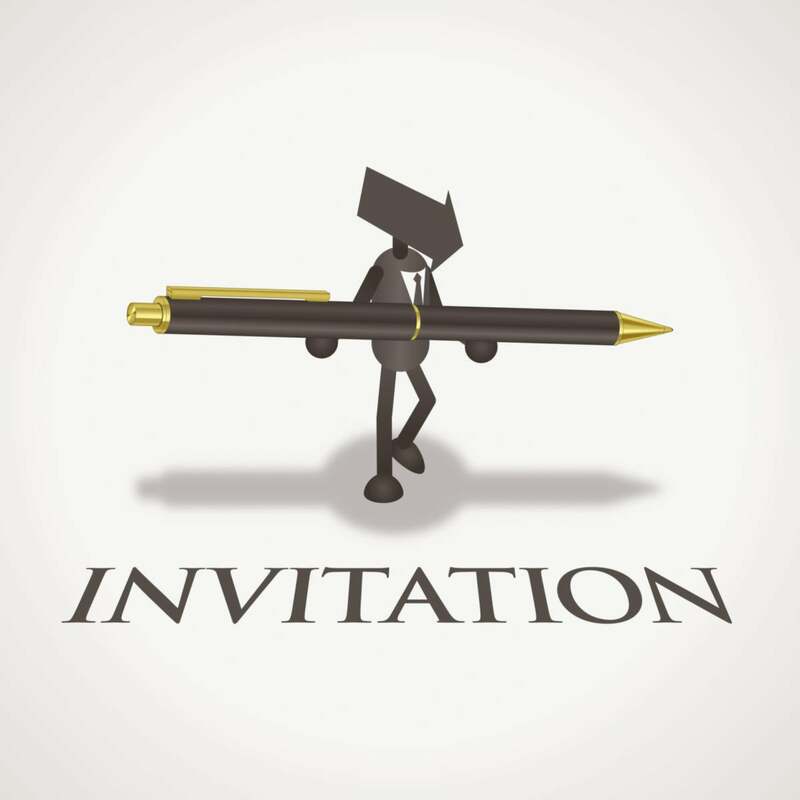 The site is still in beta, and since Ello is allowing users to join only by invitation (existing users get five invite codes to share) it remains closed or at least restricted by design and technical capability. Like other sites that began via invite only, Ello is riding a wave of interest because being or becoming a user of Ello still comes with at some perception of exclusivity. These things are important to some people and Ello knows it, even if the company says its “servers will melt down” if too many people join at once. There just isn't much to it right now. The site is clean, overwhelmingly simple and filled with beautiful, wide open white space where ads most typically appear on other social networks. It's refreshing at first, but that sense of wonder quickly gives way to a general bewilderment about the limits of Ello that seemingly appear with every click. In fact, you’ll probably run out of things to click on pretty quickly. 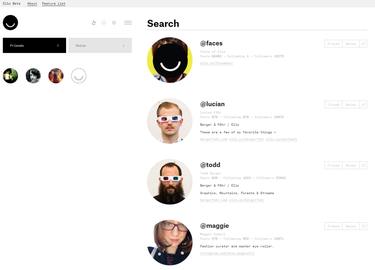 Ello follows the norm with a “discover” tab where some of its users are promoted similar to how other social networks will highlight their more prolific and popular users. Unfortunately, the only other way to find users is to manually search for someone or scroll through another user’s following and followers lists. You can follow and categorize as either “friends” or “noise” depending on where and in which feed you’d like their posts to appear. Twitter-like @mentions enable users to have conversations with other users on Ello, but there’s no organization or grouping of those conversations leaving the context and flow completely broken. Facebook’s reversal of course on this issue probably won’t impact Ello’s outlook much at this point, having already benefited from the subsequent buzz and widespread interest in spades. Ello’s more important and widely revered commitment to never sell advertising will always be the source of its greatest challenges. There’s plenty of startups with VC funding for an ads-based business model, but very few get cash from investors for a company that outright despises advertising. So one must imagine that most of Ello’s anti-advertising users were content with the service right up until a fellow user discovered that the company had already accepted $435,000 in funding from the Vermont based venture capital firm FreshTracks Capital. “VCs don’t give money out of goodwill, and taking VC funding – even seed funding – creates outside pressures that shape the inevitable direction of a company” Ello user Andy Baio writes in his post. “I think the intentions of the team are pure, and they genuinely believe in what they’re building. But I’m not sure intentions matter unless they can wean themselves off outside funding,” he adds. Ello appears to have the support of its financiers for the time being, and is quick to point out that the founders still own more than 80 percent of the company. But unless Ello hits a home run with the premium, paid offering it envisions as its primary revenue stream, there won’t be many options left for the company. Advertising, for better or worse, continues to be the path of least resistance to revenue for any online destination or social network. Without it, the challenges are more profound. And the successes, if they happen at all, are usually characterized by acquisition offers or other generous exits determined by factors almost entirely unassociated with the company’s revenue. Ello can’t be taken seriously at all until it at least releases a mobile app. A social network with no mobile app? We’ve had many of those before, albeit few with no ads, and the ones that are still around have all moved to mobile. Social and mobile are mutually beneficial, and that should have been part of Ello’s story and design from day one.